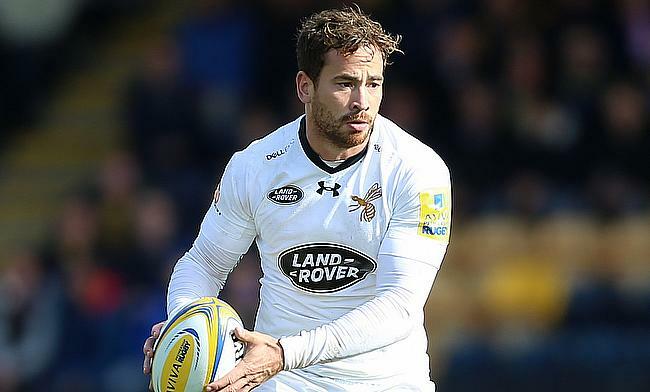 England international Danny Cipriani has confirmed that he will leave Aviva Premiership club Wasps at the end of the ongoing season. Cipriani made his professional rugby debut with Wasps in 2006 and enjoyed success straightaway with the club winning Aviva Premiership and European titles and even went on to make his debut for England in 2008 against Wales. He left Wasps in 2010 and joined Melbourne Rebels before returning back to the English set up, joining Sale Sharks in 2012 and later returned for a second stint with the Ricoh Arena outfit in 2016. “Leaving Wasps for the first time was hard enough,” said Cipriani, on his Twitter account. “Now is the time to announce that I’m leaving the club for a second time. “Sadness will most likely be the overriding emotion, come the end of May. But I’m also hoping mixed with the sadness will be a lot of joy, as the job isn’t finished yet. “You’ll get nothing but my absolute commitment from myself and the team for the rest of the season. Though the 30-year-old has not revealed his future options, according to reports it is understood that he has been receiving lucrative from Japanese and French clubs. His move to a foreign club will also effectively end his England career with his last international appearance coming in August 2015. Wasps rugby director Dai Young paid tributes to Cipriani and is hoping for the 6ft fly-half to drive the team forward in the remainder of the season. “Danny is moving on at the end of the year and we wish him well,” said Young. “We would also like to thank him for all his efforts in a Wasps shirt. Wasps have already signed New Zealand fly-half Lima Sopoaga, who will join the Ricoh Arena outfit next season from Super Rugby club Highlanders.